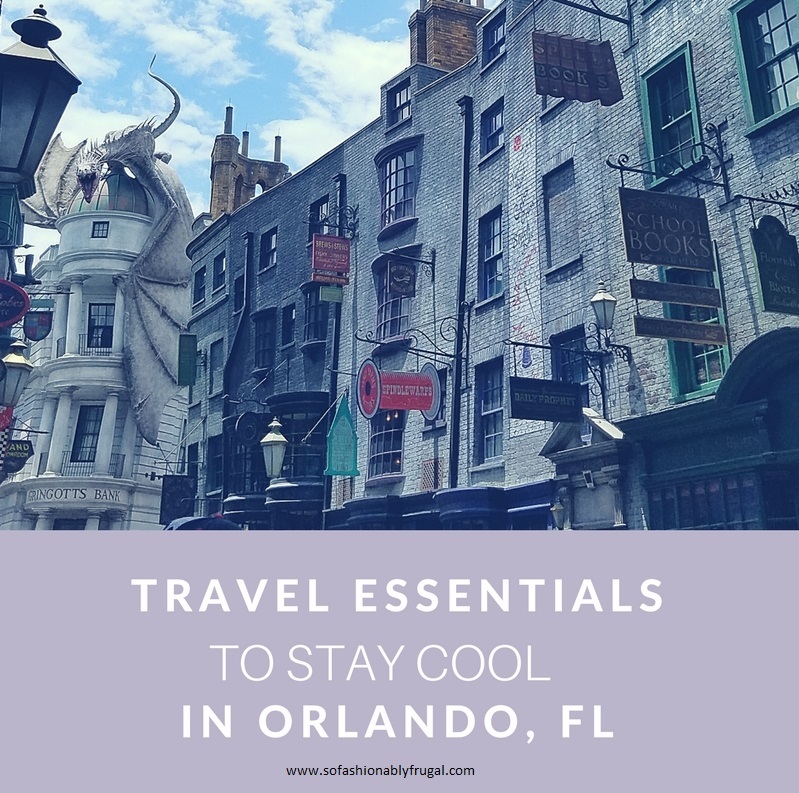 The last time I went to Orlando it was close to 100 degrees, and I thought I was going to pass out. One of my family members came down with heat stroke, and it put a real dent in our trip. When I heard we were going again this year, I knew I needed to be prepared. After doing some research, I bought some stuff for me and my family and hoped for the best. Everything went great, there was no cases of heat stroke, and I was by far the most comfortable I've ever been at Orlando. So...to take the mystery out of what you need for your trip, here are my top travel essentials. In hot temperatures it's important to keep your head covered. It not only reduces the chance of sunburn, but can prevent wrinkles and stop the sun from bleaching colored hair. Regular hats get sweaty rather quickly, so reach for one with DriFit technology. I personally love the ones by Nike. They are made for running outdoors, so they are light, perforated, and moisture wicking. They also have great color options! If you only choose one of these items, let this be the one. Cooling towels are known to stay cold for hours. Simply wet it before wear, snap it a few times to get rid of excess water, and wear it like a scarf around your neck. This was the lifesaver of my trip and I highly recommend it. A lot of the cheaper sunglasses out there aren't treated with UV Protection. When sunglasses aren't treated, UV rays are going directly to your eyes. This can lead to future cataracts and macular degeneration, not to mention wrinkles. Buy sunglasses with 99-100% UV protection and save those eyes! There's nothing like dreaded bra sweat on a hot day. Bralettes are breathable with the comfort of a sports bra, with a variety of great styles available. Layer them with tanks for a quick and easy outfit! When you buy water at the parks, you're usually holding it, so it gets warm very quickly. Bring along an insulated water bottle to keep your water cold for longer. I personally love the ones by S'well! If you sweat easily in warm temps, it's smart to take some workout tanks with you. Just like the Dri-Fit hats, they are breathable and made with moisture wicking technology, allowing you to feel more comfortable while walking around the parks! Crossbody bags are harder for pickpockets to access and/or grab off of you. For safety purposes they should always be considered on trips. No matter how safe you feel! Wearing sneakers to the parks is a no-brainer. But if you prefer wearing sandals consider an option like the Sanuk Yoga Slings. I bought these just for my trip to Disney and they were sooo comfortable. Like I said above, bringing sneakers to the park is a no-brainer. I'd say about 75% of the people in the parks wear sneakers. If you want to be on trend, bring some simple Sperry's or a Colorful Pair of Nike's along with you. But honestly, no one cares what sneakers you wear there. Feel free to wear whatever keeps you comfy! !